Please purchase your tickets at the gate starting at 10am. SUNDAY MAY 28, 2017 is a day filled with delicious bacon-inspired dishes, flavorful craft beers, family friendly games, local shopping, and exciting performances. Moveable Feast is featuring a selection of 20+ of the best food trucks from all over the Bay Area to share their best bacon-inspired dishes. All bacon plates are $6.00 or less along with a variety of selections for every type of cuisine from American to Fusion to Traditional and everything in between! Attendees also have the chance to vote for their favorite food trucks at the festival for a chance to win a free meal at any future Moveable Feast events. All sales are final. *Must be 21+ to consume alcohol. From local to international flavors, enjoy a variety of craft beers to choose from while you chow down on bacon-inspired dishes. From live bands, lucha libre wrestlers, and games, a variety of exciting entertainment for guests to digest in-between each bacon dishes. *ONLY SERVICE ANIMALS ARE ALLOWED DUE TO CSJ POLICY. Moveable Feast is bringing together 20+ of the Bay Area's favorite food trucks to compete and showcase their creative bacon-inspired dishes to the masses. 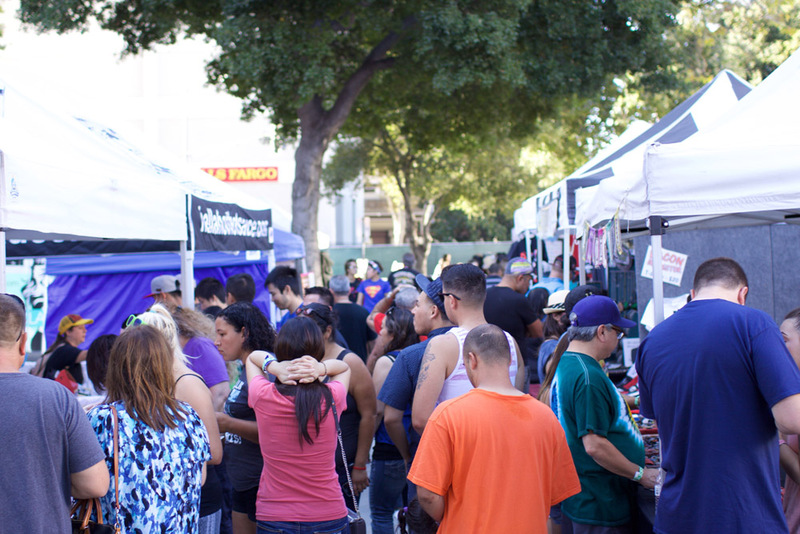 San Jose Made brings together local makers and creatives to grow and build their small business.